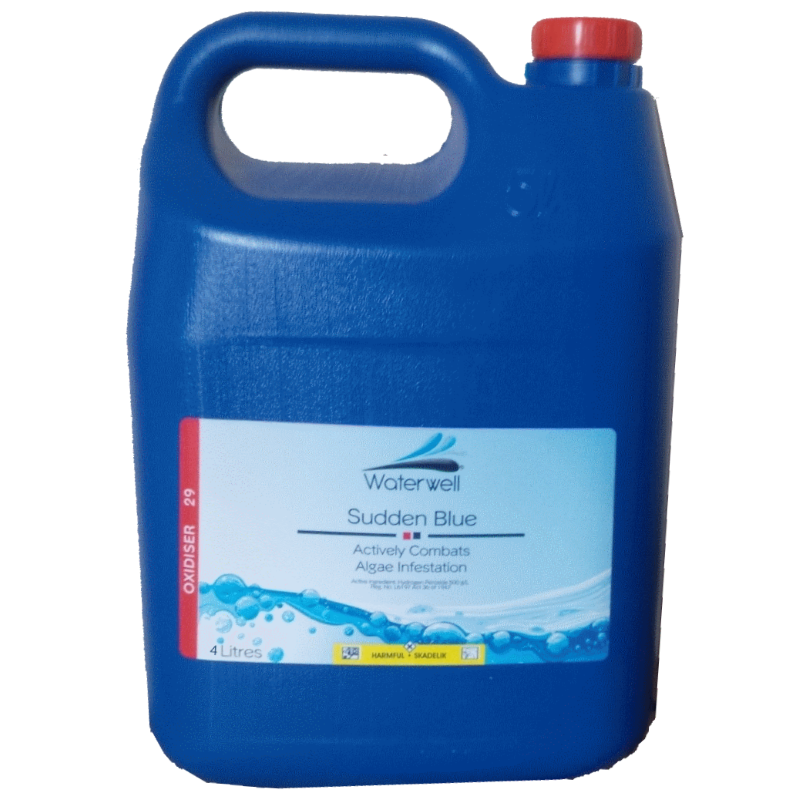 Sudden Blue is a very strong oxidising agent for use as a shock treatment. It will effectively remove organic contaminants from pool water to keep it clear an improve bather comfort. For light algae infestation (can see the bottom) use 1L per 10 000L pool water. Double the dosage for heavy algae infestations. Turn container on it's side and pour slowly (carefully) at the pool inlet. IMPORTANT: Do not use any from of chlorine for at least 48 hours.